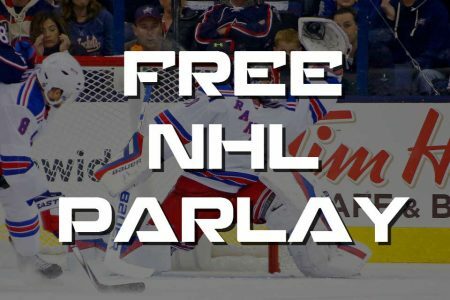 What better way to start the week than with an ABSOLUTELY FREE NHL parlay from Mike Lundin. Enjoy. The New York Rangers are 9-2-1 in their last 12 contests and have dominated this series in recent seasons with five consecutive wins. They’ve won six of their last seven Monday night games while this is a relatively poor day for the Blue Jackets who are 2-5 in their last seven Monday games. The Stars are struggling with only one win in their last six games and fell to 3-2 to the Rangers Saturday. They’ve struggled with the Red Wings in recent seasons, losing nine of the last 12 head-to-head meetings and six straight home at American Airlines Center. The Stars have allowed a total of 25 goals over their last five games, and such defending will put them in plenty of trouble tonight. The payout of this parlay should be in the neighborhood of +127 and it will definitely be a part of my personal card Monday. For winners on the hardwood, check out my NBA Free Pick and don’t miss my *NBA 3-Pick Pack* as I’m looking to build on a 12-4 NBA Run.